Maybe you are one of the many people who don’t have such a high opinion of Romania. And this is because you only think of what you have read in some newspaper or another about it being a poor country, with unstable governments and questionable institutions. While this may be true, you shouldn’t jump into hasty conclusions as there are a lot more things for you to find out. Romanian Tourism will try to show you some of the wonderful things that Romania still has in store for you. This country is located in South-Eastern Europe, being bordered in the South by the Danube, and in the South-East by the Black Sea. UNESCO has designated the Danube Delta a Biosphere Reservation due to its housing numerous species in danger of extinction. 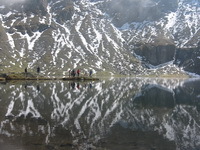 The marine landscape is completed by a beautiful range of mountains inside the country, the Carpathian Mountains. These are perfect for winter sports of every kind (artificial snow canons are also available in the most important resorts) while, during summer, they are open for exploration. Amazing cloughs, unique caves and ice caves, natural reservations are only a few of the many places you can choose to discover. 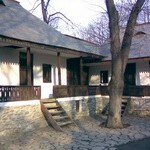 History plays an important part in Romania’s development as a tourist destination. During the Middle Ages and not only, Romania was split into 10 principalities: Wallachia (Muntenia), Transylvania (Transilvania), Moldavia (Moldova), Dobrogea (these were the largest and the most important) and then Bucovina, Maramures, Crisana, Banat and Oltenia. Each of these regions had to deal with different invasions or occupations (Hungarian, Ottoman, Tartar and Russian) which altered to some extent people’s language and habits. Therefore, nowadays, each of these regions has unique characteristics, unique accent or traditions. 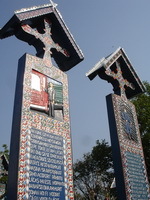 For example, people in Moldova speak faster than those in other regions and their accent bears Russian features. Monasteries are the perfect choice if you want to relax in a place imbued with spirituality and surrounded by amazing mountain landscapes. These monasteries date from the 15-16th century and most of their original paintings have been preserved. If you have a developed sense of humor then the right destination for you would be the ‘the merry cemetery’ at Sapanta in Maramures. 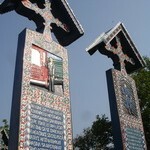 The lives of the people buried there are described in funny poems written on their wooden tombstones. 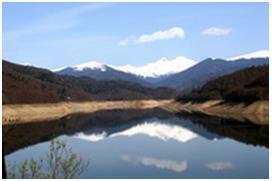 In Crisana, you can rejoice visiting the Apuseni Mountains with their natural beauty and distant villages untouched by modern civilization. Thus, as Romanian Tourism has proven, this country can be a fascinating holiday destination for everyone since it offers various alternatives to choose from: mountain and seaside resorts, historical cities, remote traditional villages and spiritual places.